From the Toronto Star: In the months before she was kidnapped, Raquel Junio had devised a happy plan. She bought and kept furniture at the Brampton thrift shop where she worked, took the bus to a nearby library after shifts to scour the Internet for apartments and searched for a second job to make extra money. Coworkers say she was excited about the new home she planned to make for herself and her two children. Those plans were interrupted last week when the 42-year-old disappeared into the night after witnesses told police she was dragged from her home and forced into a truck. The people who knew and adored Junio gathered in front of Talize thrift shop on Sunday night for what was supposed to be a vigil of hope and prayer for her safe return. But with news that police found a body that may be hers in a pond 30 kilometres north of her home, the small crowd instead mourned the loss of a dear friend. 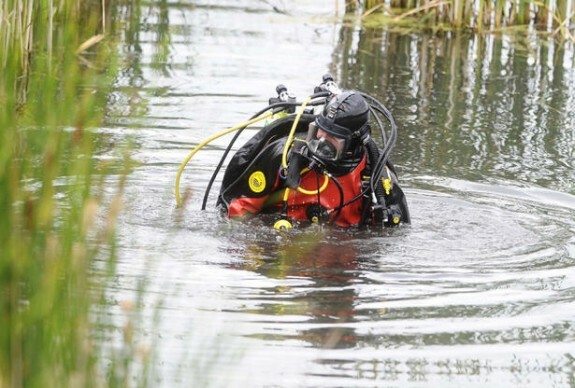 Peel Regional Police said an autopsy set for Monday morning could confirm the identity of the body pulled from the Palgrave, Ont., pond and determine the cause of death, though details may not be released immediately. “She's not a person you would think this would happen to,” colleague Samantha Salama said through tears. Salama and other coworkers say Junio was always happy at work. More than anything, Junio loved her children. As she sorted through new stock at the thrift shop, she would pick out the best toys — Dora dolls, backpacks, a mini shopping cart — to take home for her 3-year-old daughter. She beamed with pride when her son, 14, recently graduated from middle school. The discovery of a body on Saturday night about 30 kilometres north of Brampton, near Bolton, came hours after police charged a second suspect in the abduction. Gary Murray, 42, of Brampton, was charged Saturday with kidnapping, forcible confinement and assault. Junio's estranged husband, Macdermid Ermacora, 43, appeared in court Friday on the same charges. Police said the two men are friends. 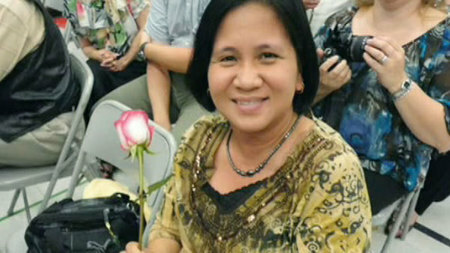 Junio's friends told the Star that she and her husband had been having marital issues. “She never said anything,” said Ernia Eduria, a cousin who would see Junio at family gatherings three or four times a year. He said his cousin and Ermacora were married four years ago after they met through friends. Eduria's wife, Marcy, said when she last saw her husband's cousin two months ago, Junio asked her for help finding a part-time job. “I didn't know anything so I didn't help her and now I feel so bad,” said Marcy Eduria. The trouble began at about 1:30 a.m. on Thursday, when police received complaints about a man dragging a woman out of a Deerfield Cres. home. Police found Ermacora's truck about 7 a.m. Thursday in a parking lot adjacent to a hotel near Queen St. E. and Rutherford Rd. in Brampton. Ermacora was taken into police custody shortly thereafter as police searched for Junio. As investigators combed Brampton, Caledon and Nottawa, south of Collingwood, a Crown attorney urged Ermacora to tell investigators where his wife was. The accused exercised his right not to speak, police said. Talize manager Pete Bellis said the store will donate a portion of proceeds from a sale event on Monday to Junio's children. “We're really concerned about her children right now,” he said.